Meeting venues are raided, Bibles and religious articles seized, and believers registered and photographed for further surveillance. Bitter Winter has reported that Christianity in central China’s Henan Province has suffered a devastating blow over the last year: in Xinxiang city alone, 410 meeting venues were shut down, including 217 that belonged to house churches. In 2019, the momentum of the persecution continues. In early February, authorities in Shangqiu city’s Suiyang district convened a meeting on religion. Government-trained personnel were ordered to collect the times and locations of house church gatherings and record that information in a newly established database operating 24 hours a day. As soon as a gathering is discovered, it must be reported promptly. Informants will be rewarded for passing on information. 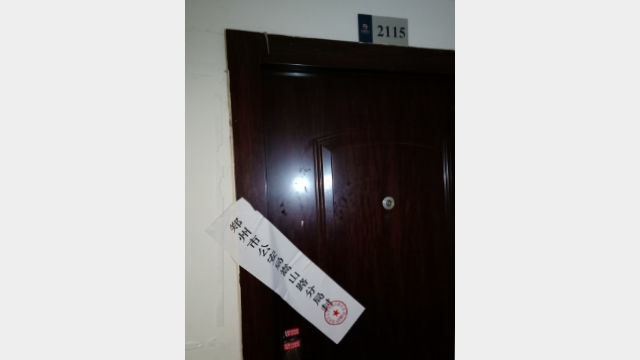 Soon after the government meeting, a house church in the Xincheng sub-district of Suiyang was found and closed. 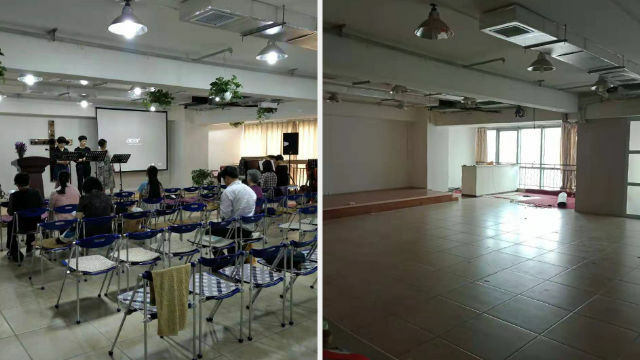 Believers are holding a gathering in a house church meeting venue in the Xincheng sub-district. One attendee tried to use a cellphone to record what was happening. But a government official immediately grabbed the phone and deleted its contents. The police registered the names and addresses of all the believers and took photos of them. They destroyed all the religious symbols in the home and confiscated Bibles, hymnbooks, and other religious books. Officials also forced the landlord to terminate the rental agreement with the pastor. 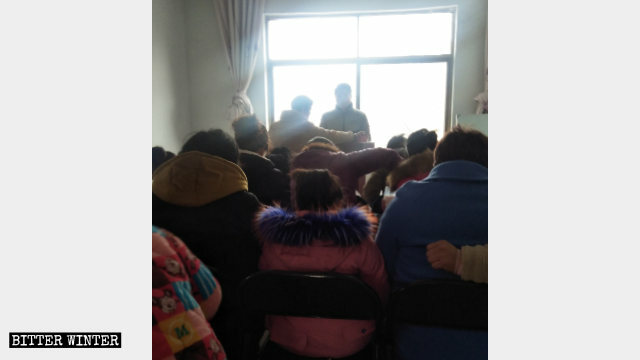 In February, a Born-Again house church in Zhengyang county, under the jurisdiction of Zhumadian city, was raided. Four police officers burst into the meeting and shouted that house church gatherings were not allowed. One believer tried to reason with the officers, but he was beaten. Each attendee’s ID information was recorded, and the whole property was combed. Afterward, the police took the preacher and one believer to the local station. Church members report that the preacher remains under surveillance after his release. This wasn’t the first time that this venue was suppressed. On January 28, officials ordered to ransack and damage the house, as well as destroy the wall surrounding the building. Panshi Church before and after being raided. A third meeting place, in Zhengzhou city’s Erqi district, was also shut down. The local Bureau of Ethnic and Religious Affairs accused the Panshi Church of privately setting up a meeting place in violation of the law. On March 6, without notice, officials pried open the church’s gate and vandalized the facility. The authorities looted 70,000 RMB (about $10,430) worth of church items and sealed off the venue with barricade tape. The entrance to Panshi Church sealed off. 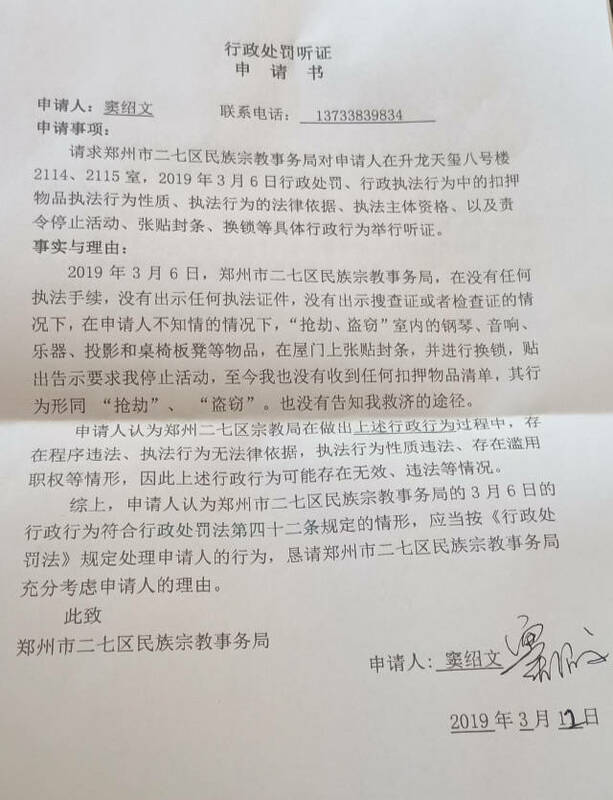 Government officials also threatened the property’s landlord, saying that if she provides Christians with a meeting place again, she will be fined 200,000 RMB (about $29,800). Video: The director of Panshi Church inquires with property management staff about the circumstances of the raid on the meeting venue. An “administrative penalty hearing application” written by Pastor Dou of Panshi Church. Uses a pseudonym for security reasons.